Happy happy happy Thursday! Only one more day and it will be the weekend. I hope you all have some fabulous plans. Let's get down to business. I have another project to share with you for My Cricut Craft Room. Today is Theme Thursday, and the theme was apples or fruits. 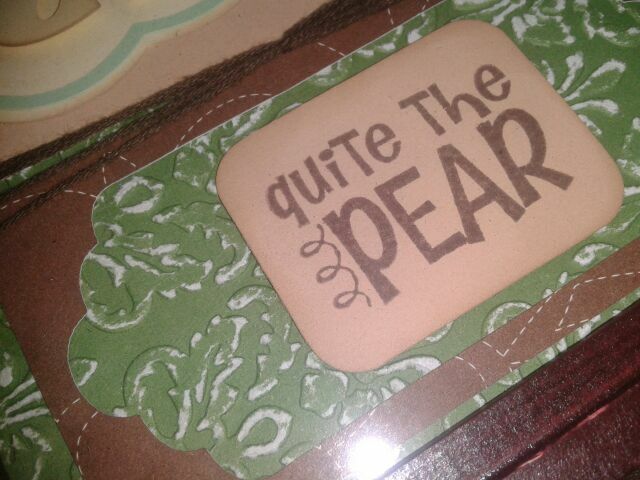 I have a stamp that I knew would be super cute, so I went with a pear theme. 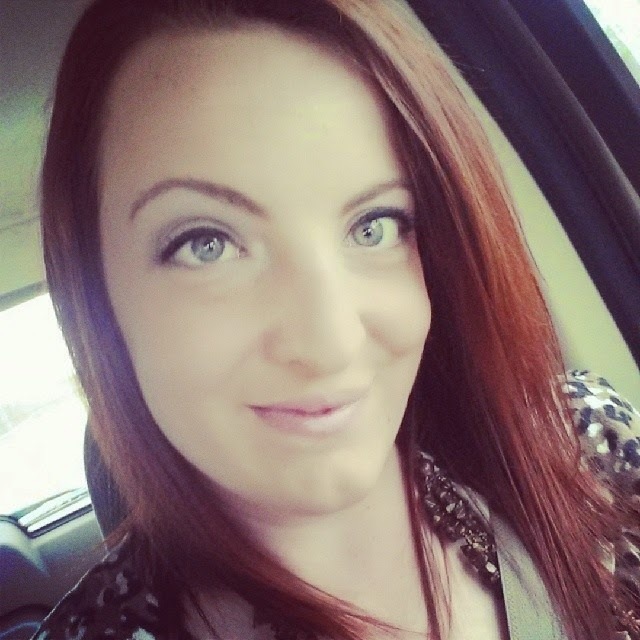 Please continue reading to see how I made my project. When it comes down to it, this project is fairly simple. I only used one cartridge, and that is Home Accents. I welded two pear shapes together and the overall size is 4.625 by 4.069. Then, I cut the layer for the two pieces. The layers are cut at 2.556 and 2.292 and layered appropriately. I used creamy brown chalk ink on some of the layers to help them stand out. 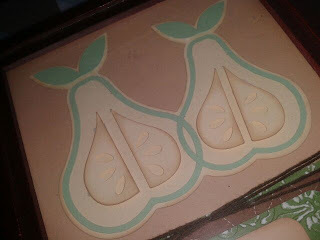 If you've been to my blog recently, you know I've been obsessed with dry embossing and sanding. Yep, you guessed it - I did it again. Next, I stamped my sentiment using an Inkadinkadoo stamp, inked the edges with that same creamy brown chalk color, then adhered it to my project. I wrapped some brown embossing thread around the whole base a few times for some added interest. That's it. All there was to it, I told you it was a fairly simple project! Very cute project! Love doing things other than cards and layouts every once in a while! Thank you for the inspiration! 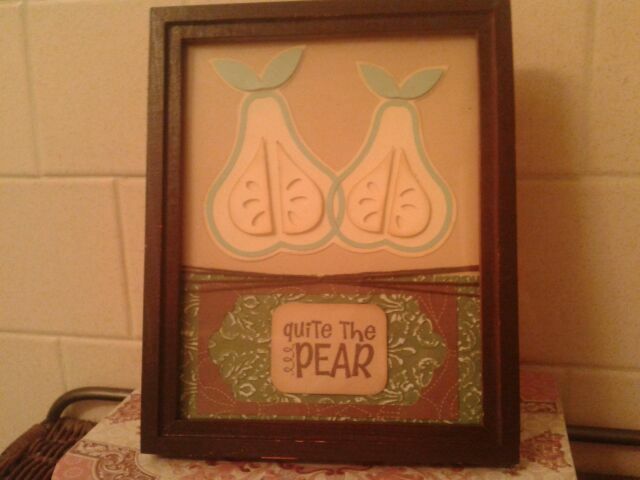 Love the pear theme Melissa, great sentiment. It's nice to see an home decor project. Great projects. I think that wouldbe quite a nice anniversary card. or even wedding. thaks for the inspiration! It may be simple, But I loved how it came out! SO so so sweet. Love this as a wall decor item. Very cute!! The sentiment is perfect!! I love it! !